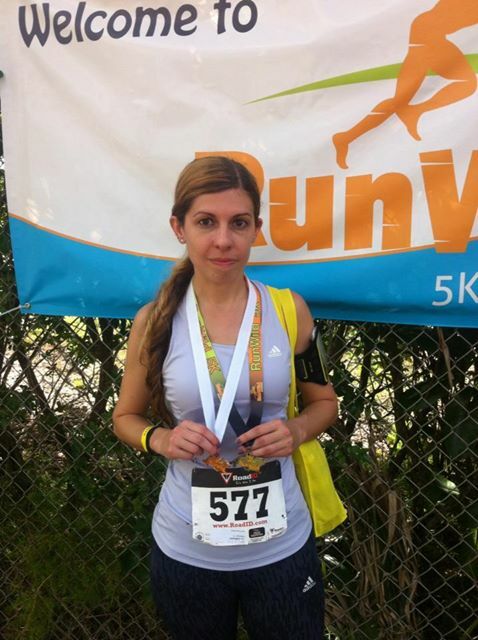 Running a 5k six days after my first full marathon seemed like a dumb idea when I signed up for this race about a month before. Luckily it ended up really well for me. I usually really hate races that start later than 7:30am but I did this race last year and had a lot of fun so I tried to not be too bothered by the 8am start time. Plus races at Zoo Miami are a lot of fun, getting to run by all the animals. Sometimes I even go and walk around the zoo afterwards but this year it was just too hot by the time the race was over. My aunt said she would be there but I never saw her till after the race was over, I did run into Matt and a girl from FIU Run Club. It was her first 5k race so she was pretty excited. I lined up 10 minutes before it started and the announcers kept telling people to not have their kids up at the starting line but most people did not listen. That is the issue with zoo runs, the beginning is always a mess with dodging and practically jumping over little kids or strollers but then it gets better when you get around them. I felt pretty strong despite only doing one post marathon run before this race. 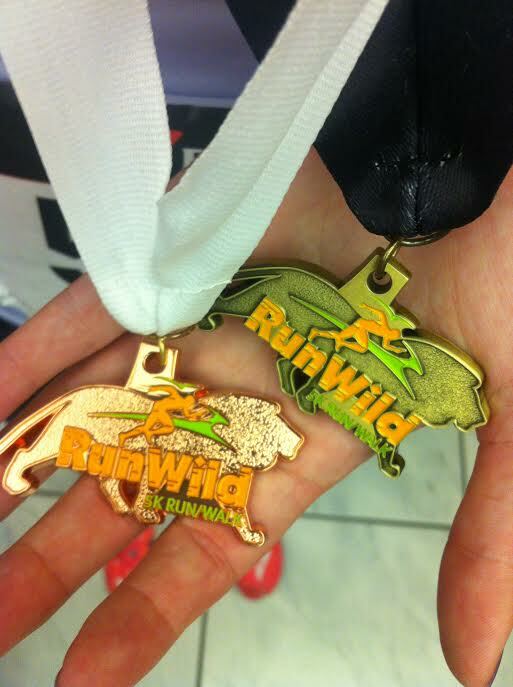 Another great thing about zoo races is that they almost always have finisher medals. 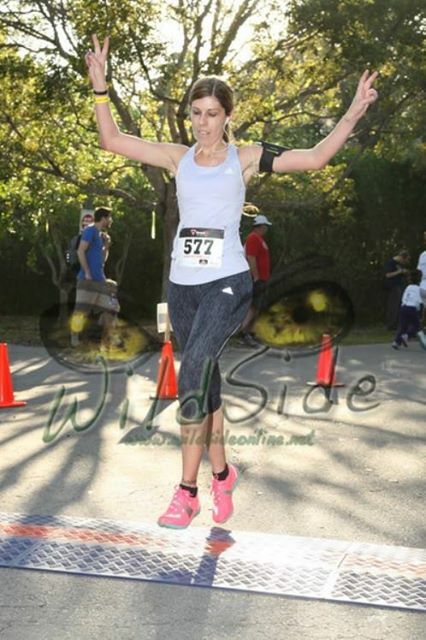 Finished the race, jumping over the finish line timing mat, seems to be my signature move. Haha. I got water, picked up some reusable bags, coconut water, some greek yogurt and a banana before heading back to the finish line to see my friends cross the line. Then I waited on the side to see my aunt and her friends cross the finish line, cheering them on as they reached it. Afterwards we took way too many pictures and waited in line for some yummy baked goods from Corner Bakery Cafe. Then watched the awards ceremony, and they started giving awards to the top 4 in each age group! So I ended up being called up and cheered on for my 4th place finish! Wish all races would have top 5 finishers in every category. The course for this race was a little bit short, and they told everyone at the start of the race, this was a new PR for me. Who would’ve thought I would PR less than a week after a marathon! 4th place in age group. Onward to race #2 for the day. 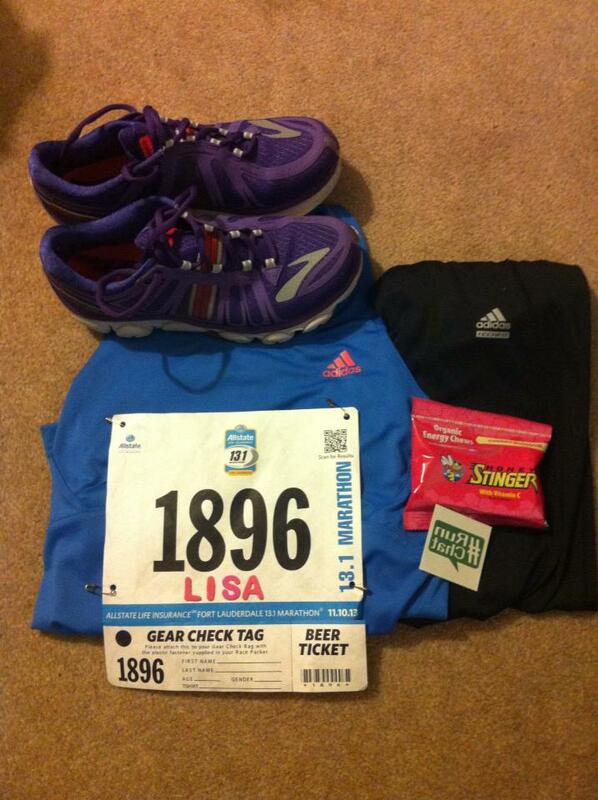 This race is actually really special to me because it is the first race my parents have ever attended. Arrived early at Baptist Hospital in Homestead, where the starting line was. I decided to be festive for this race and wear a santa hat, which I later realized was a dumb idea since it was over 80 degrees out and my head needs to breathe. 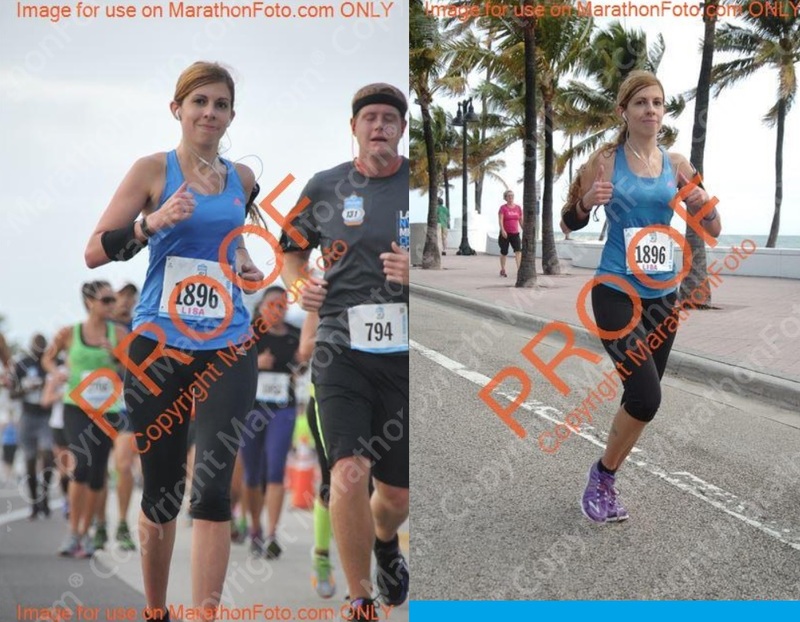 About a mile into the race I just wanted to rip the hat off but kept it on for finish line photos. Convinced a friend from run club to run this race and ended up running it with him the whole time. We are used to running the same pace at run club so the goal was to stay with him and kick up the pace at the finish line. I talked most of the way, not that he could probably hear me as he was wearing headphones but still kept my mind from focusing on the pain of running so quickly. I even mentioned that we might actually place high in our age group when we were about a mile from the finish line. 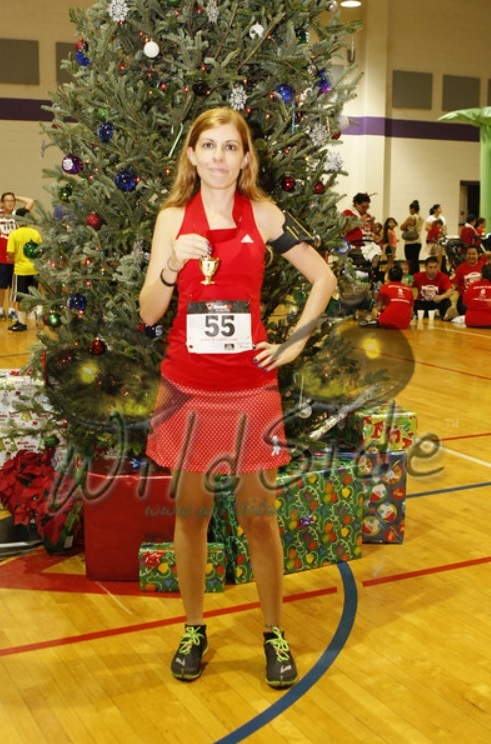 Well I set a new 5k PR that day and placed 1st in my age group. The first time ever being 1st! Plus we set a course record for our age groups as it was the first race on that course and the first year of this race. Never had I felt more high from racing than that moment, plus my parents and grandmother were there to see it happen. 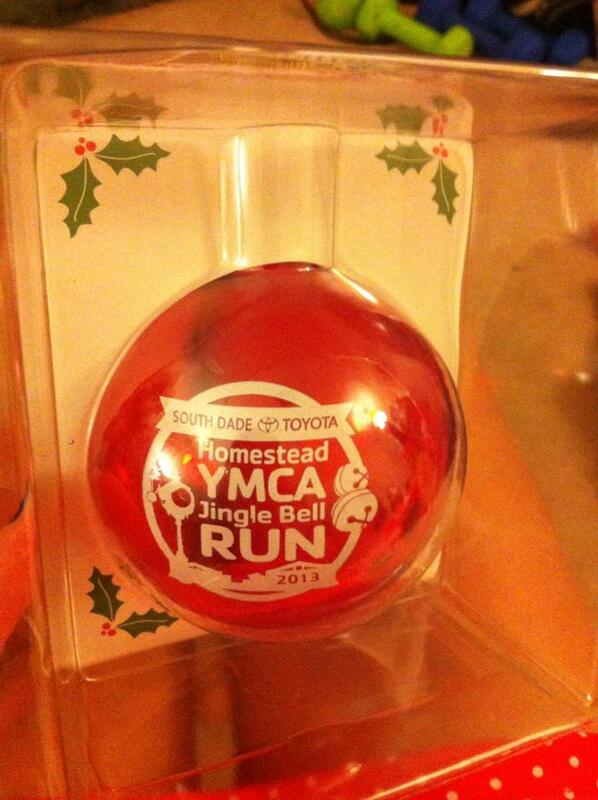 We got Christmas ornaments with the race info on it at the finish line. 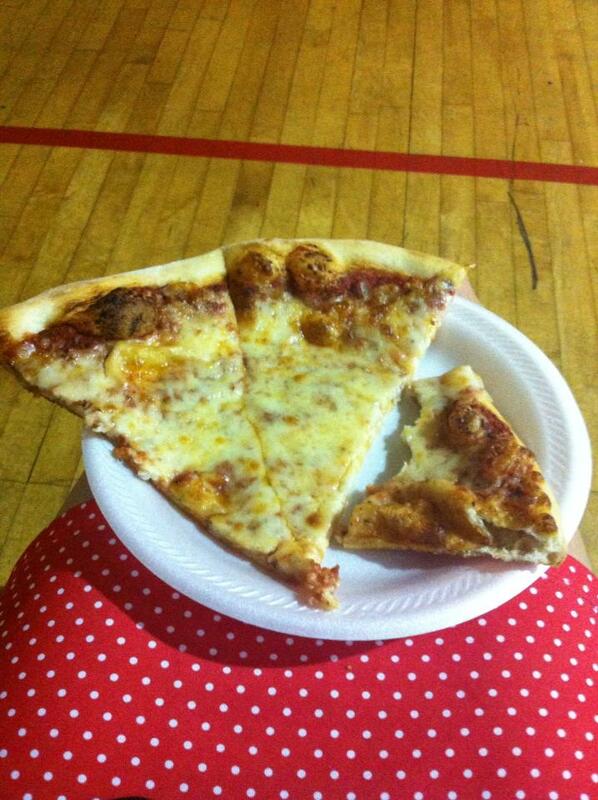 There was also free local craft beers but I did not partake in those this time, but I did have some pizza from The Big Cheese when I went into the YMCA for the awards ceremony afterwards. After carbing up and getting my medal I headed home to change and get ready to go out with some friends for a night of dancing. 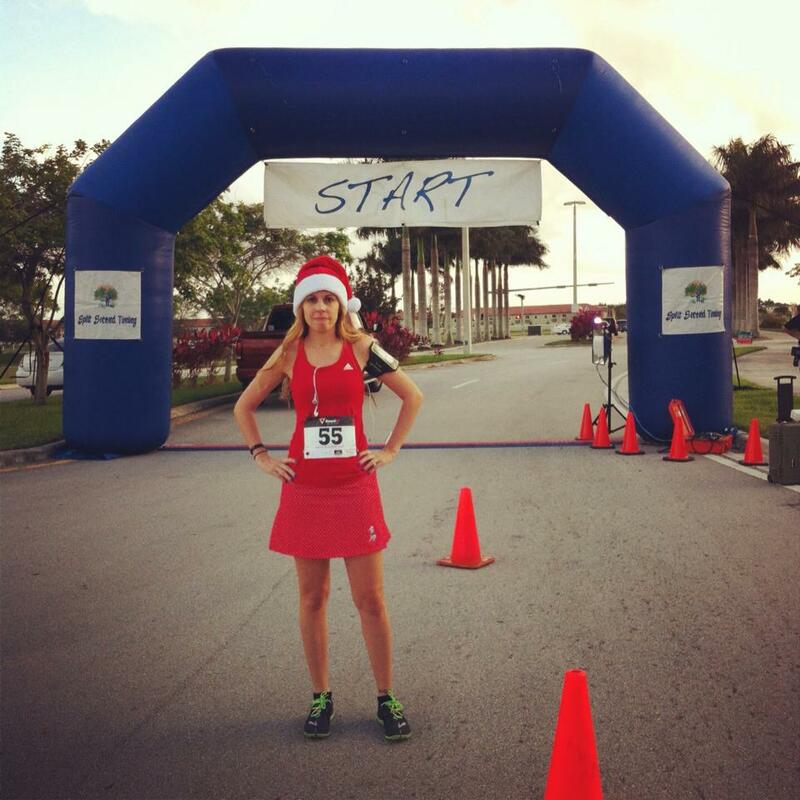 This race was dedicated to Angelika, who loves all things Christmas related. 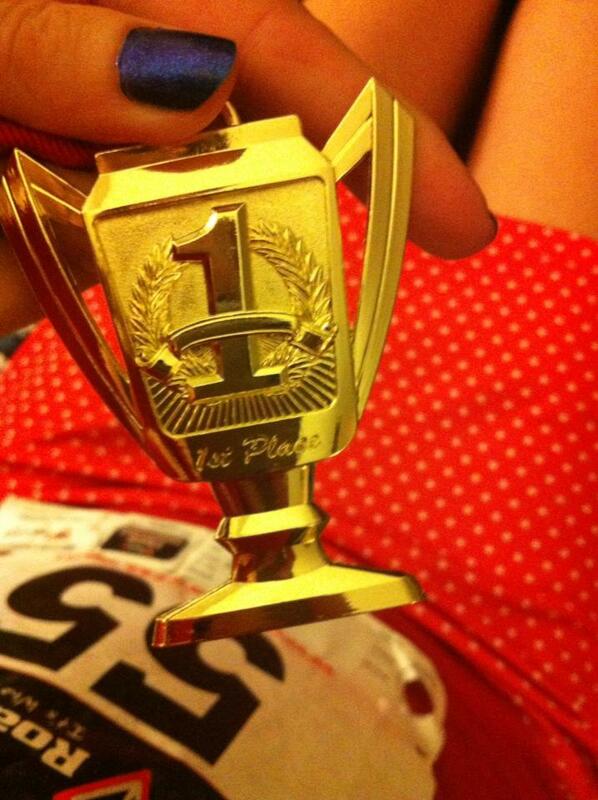 Close up of medal & my cute polka dot running skirt. 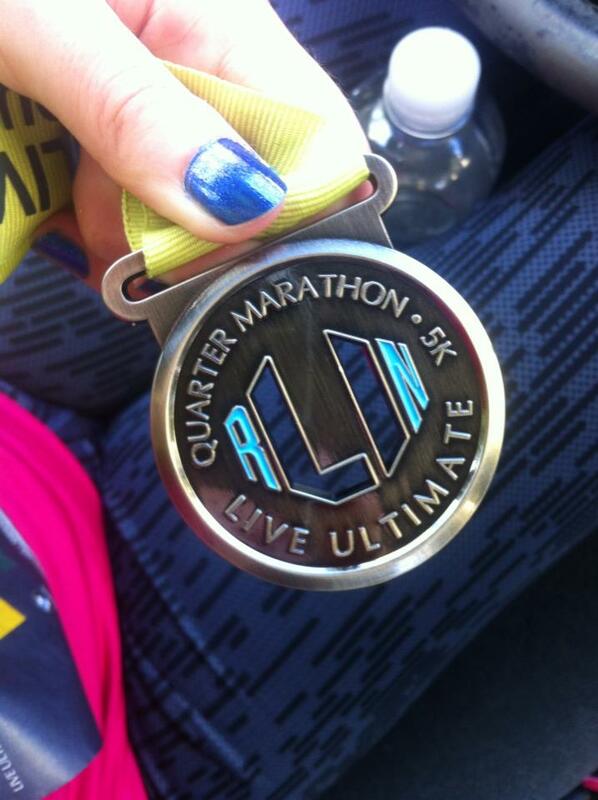 Live Ultimate South Beach Quarter Marathon – December 14, 2013. Ready for a day of racing. 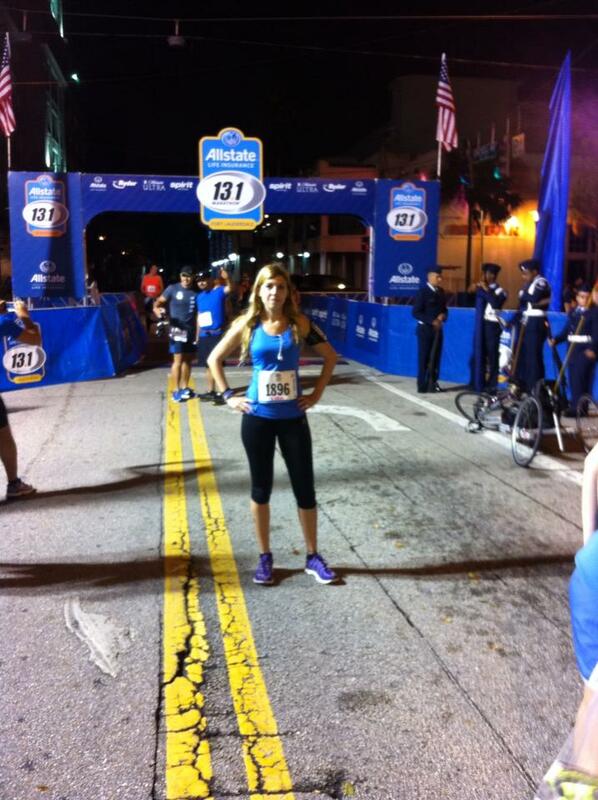 I always love races that start and/or end on South Beach. Great views and a walk on the beach afterwards is a very peaceful ending to a race. 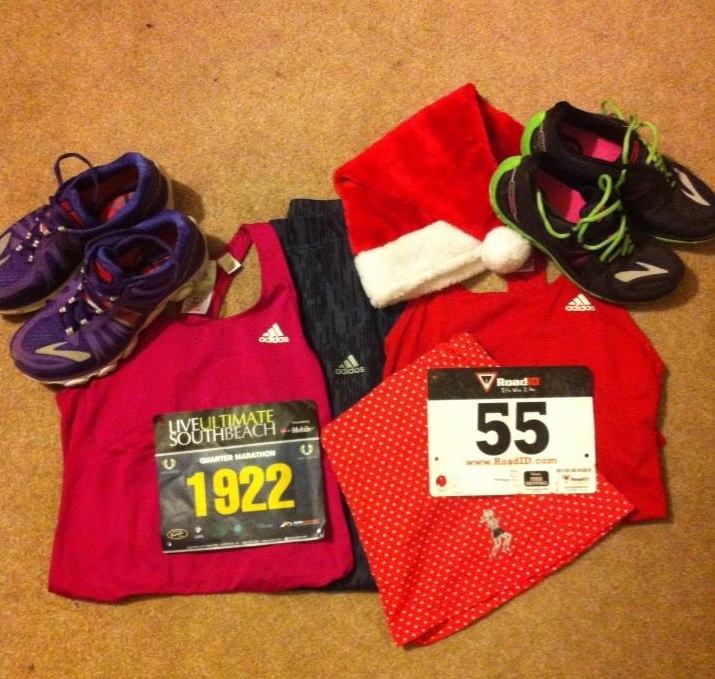 I made myself a little of a challenge by signing up for this race and a holiday 5k later in the evening. Kind of like how Disney sets up challenges, but usually on different days. Getting to the race was a bit of a headache, I knew I didn’t have to be as early as the half marathoners but also didn’t want to arrive too late and not find any parking. There was a major accident on the McArthur causeway just before the bridge so that slowed everyone down considerably to get to the beach. Luckily I got through the mess in enough time to find a metered parking space, and the meters didn’t start till 9am, which was perfect since this race started at 7:30 and I knew I would be done before 8:30am. It was a very windy morning and so strong that it was blowing the port a potty doors open almost hitting some runners who were walking by. I ran into a friend of mine who was running the 5k while her husband ran the half marathon, we talked for awhile till it was time to line up. The 5k & quarter marathon distance runners started at the same time, while the half marathoners started an hour earlier giving them a head start. Although while running the quarter marathon we did see some half marathoners heading back the opposite way we were going. 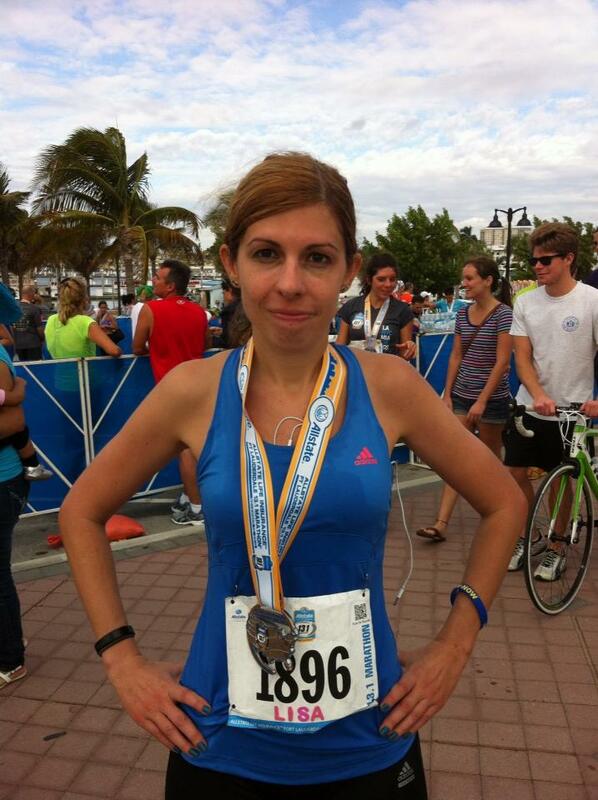 This course took us up Ocean Drive and then around the Miami Beach Convention Center and through the golf course and up the boardwalk. 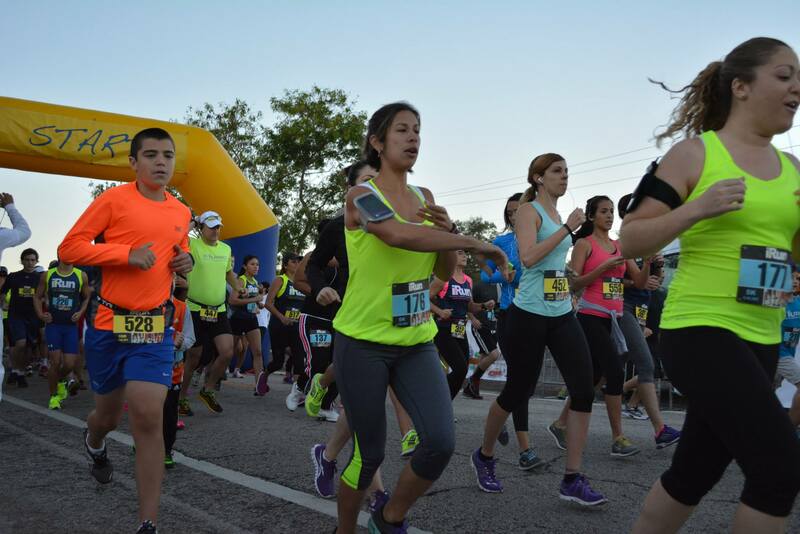 I had no goal in this race, as I just wanted to finish strong and not kill myself since I had a 5k later on that night. 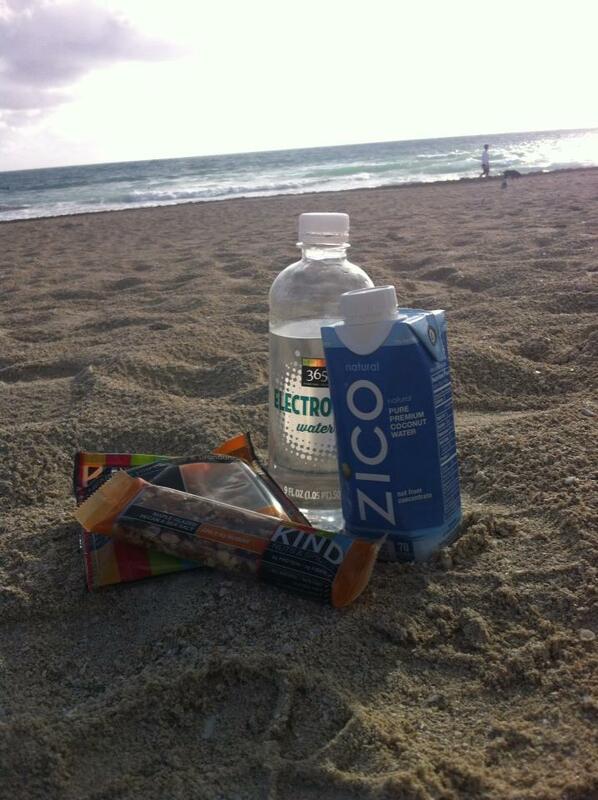 It was starting to get really hot by the time I finished the race, so I walked over to Nikki Beach where they had the food and goodies. I grabbed some stuff and headed to the beach to watch the waves while I ate and watched the half marathoner run by on the sand. This race was dedicated to my friend Erik. 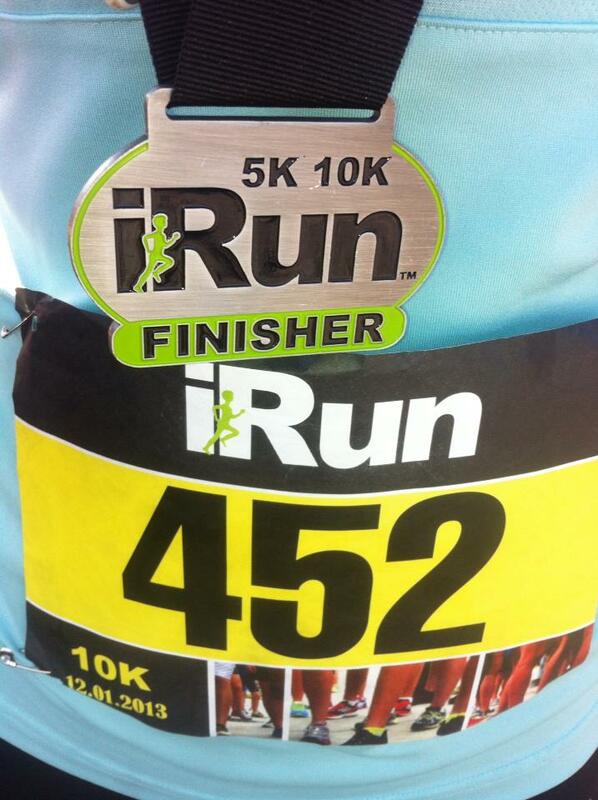 I cannot express how much I love the iRun events, their pacers are motivating and the group is just really positive. 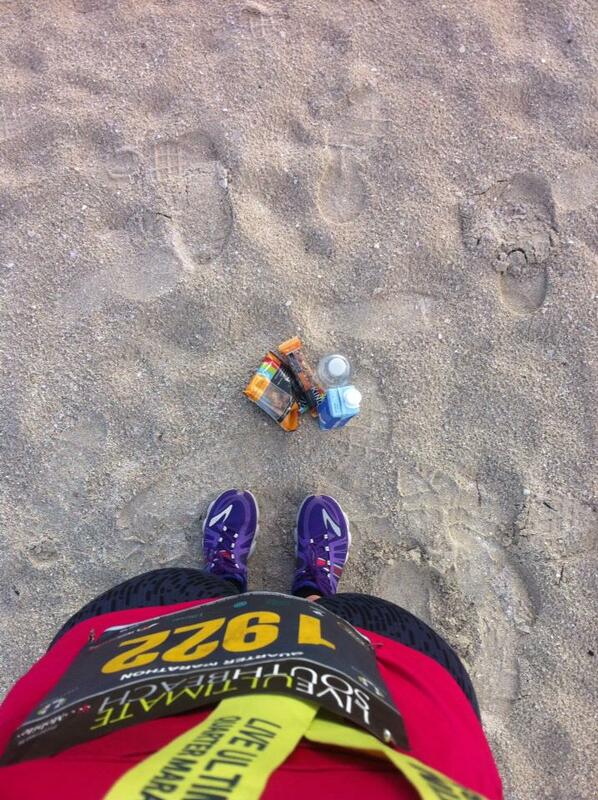 Plus their events are very well organized and I never have to fear of them running out of water at the finish line. And they give out medals for their events instead of heavy cotton race shirts that hardly anyone wears anyways. I personally do not wear race shirts unless they are gender specific and that is rare except for half marathons. When I went to pick up my race stuff the day after Thanksgiving they put the bib number and ads along with a reusable water bottle in a cute green gift bag. Felt more like a present than a packet pickup, in other words really special. Taking off! Can you spot me? The race started early and we were off and running through neighborhoods. 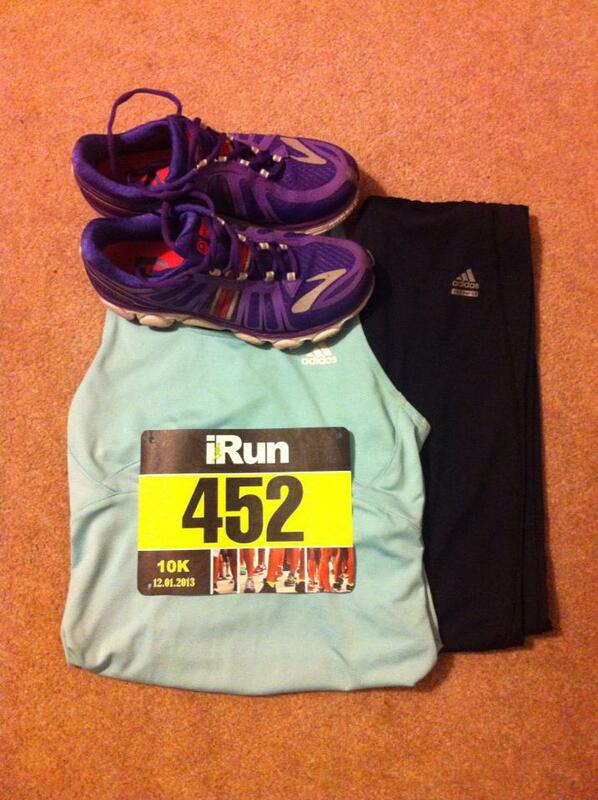 This is the 2nd iRun 10k I have done, the first one was back in March, check out my recap here. After the race I wore my medal proudly and tried out some of the sponsored juices and fruits. I waited for the results and came in 4th place in my age group, I’m pretty happy with that, I can only hope to be 3rd in my age group next time! This race was dedicated to my friend Chez. This race was about an hour away from home so I had to be up pretty early to make it there by 5:30am. Got there in enough time to hit the port a potty line before it got crazy, which happened about 15 minutes before the race. My plan was to hopefully PR but that was not in the cards. The morning was cool considering the normal 80 degree temps and also overcast, I was slightly worried that it might rain. It did not rain at all and became pretty sunny halfway through the race. I was hoping to stick with the 2:00 pacer and beat my previous half marathon time but he started out way too quickly and I could not keep up. At that point I just hoped to run the whole way but stopping at water stops to walk through them. Running through a tunnel in the city was pretty interesting as most of the runners started screaming and making noise to get it to echo off the walls. The wind was so intense at this race & affected a lot of times. I know that I worried a bit about being blown off my feet by it a couple of times. 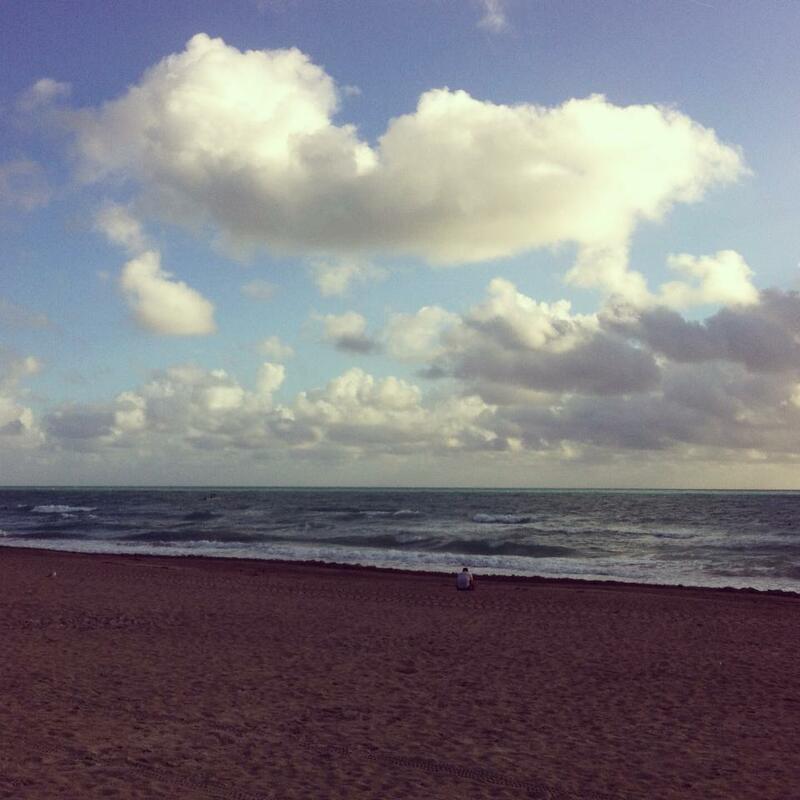 Running along Fort Lauderdale beach was a great view though, it’s so lovely to see the sun starting to rise above the water. There were also a lot of kite boarders in the water so when I started to slow down I looked over to check out them to distract myself. 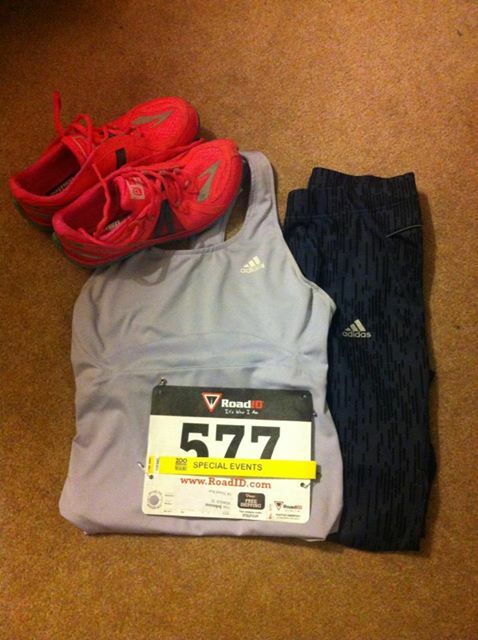 I knew this race would not be my best but I powered through it and thought about other things. I probably stopped at 6 of the 12 water stations on the course so I was not feeling so horrible when I crossed the finish line. Right after I found my aunt I threw a Nuun tablet into my water bottle and felt even better. My friend German drove up to hang out at the beach and when I went to the beer tent to get a free beer he came along and got some free beers too. They were giving 2 beers per person at the time, I didn’t even finish one of my beers but it did taste pretty refreshing at 9am. 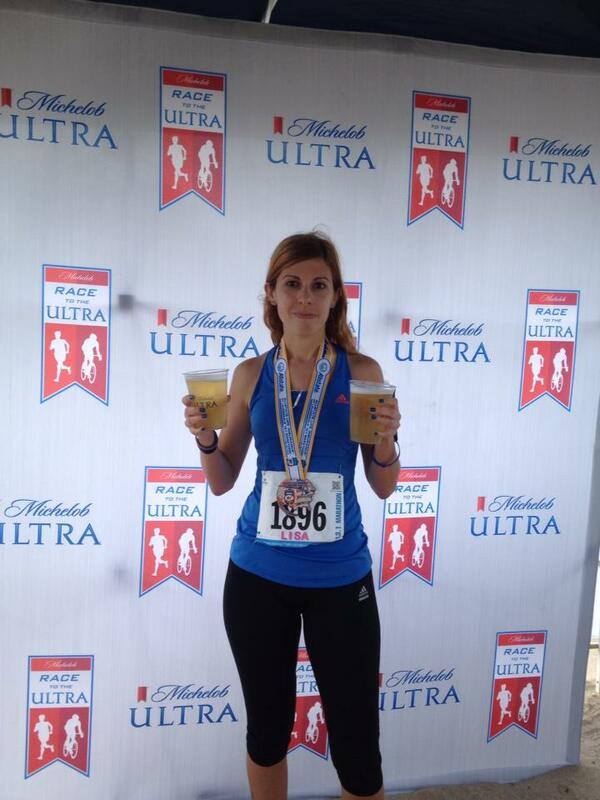 Michelob Ultra in case you were wondering. This was the first race in the Florida Storm Series for this season, meaning you gain more medals the more halfs/fulls you complete in one season, up to 5 big races and a giant 5 medal if you complete all 5. I signed up for 3 races this season so I will be gaining a 3 medal in March. 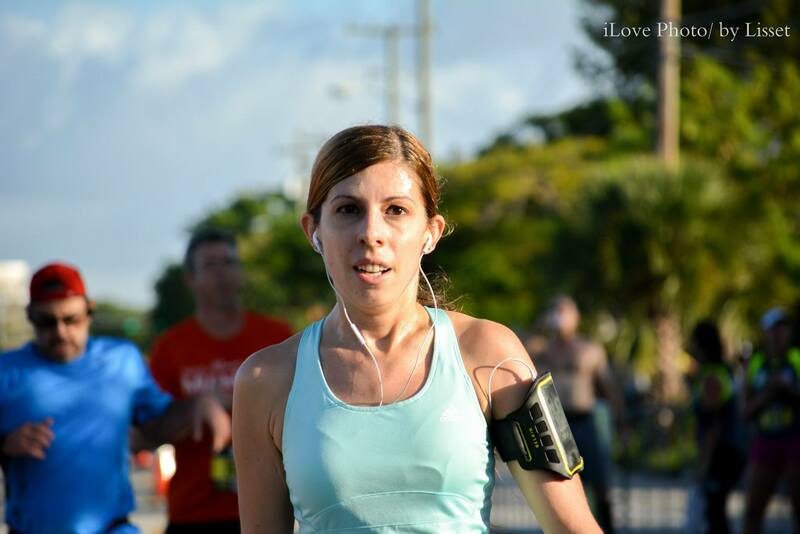 This race was dedicated to my friend Priscilla whom is having a high risk pregnancy.